Back in the days before Claire’s, it wasn’t easy for a teenager to find contemporary accessories at an affordable price. We had to improvise by making cheap things fashionable. When I was young, it was jelly shoes made of stretchy see-through plastic and stretchy rubberband-like bracelets you could buy from gumball machines. 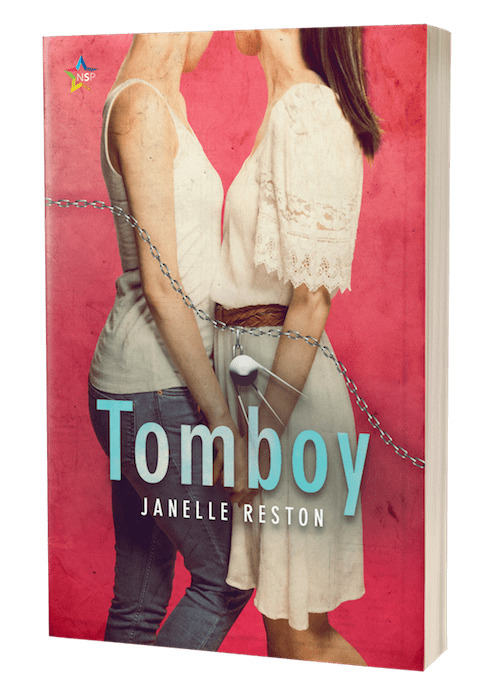 While researching my 1950s coming-of-age romance novella Tomboy, I was delighted to come across a similar—if less plasticky—long-forgotten budget-conscious fad from that era: dog-collar anklets. Photograph by Roger Higgins of the New York World-Telegram & Sun, 1953. In the public domain. Yup. 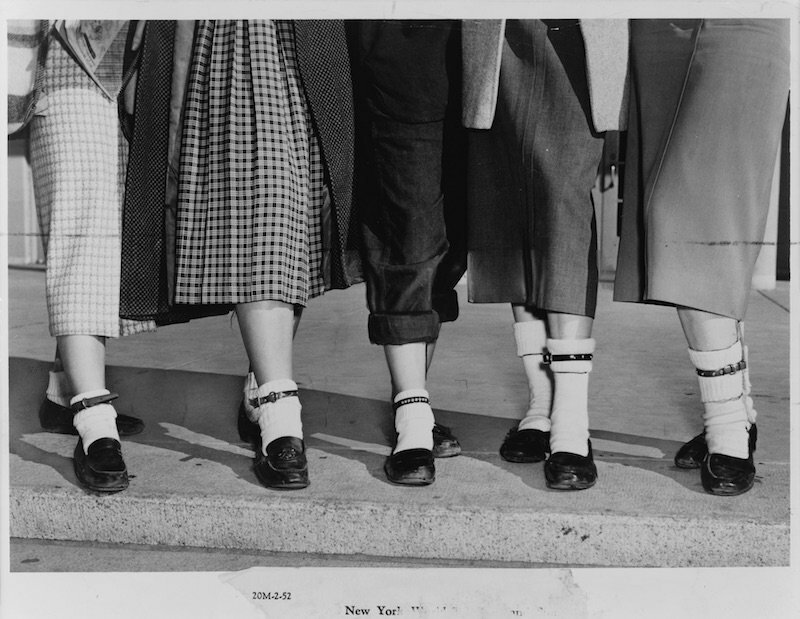 Teenage girls wore dog collars around their ankles as a status symbol. Since bare ankles were a little risque then and might bring a girl in conflict with her school dress code, these anklets were always worn over socks, pulled snuggly around a folded sock cuff (do people still cuff their socks?) to prevent it from slipping. The fad hit the big time in 1953, and whether you wore your dog collar on the left or the right was an announcement to the world about whether you were single or whether you were going steady with someone, though which side meant what varied depending on location. An Ohio newspaper reported that girls in Akron wore the dog collar on the left if they had a steady love interest, but in Dallas it was just the opposite. We went to the pet store and bought matching dog collars. It was the fashion for teenage girls to wear them around their ankles—the right ankle if a girl was single, the left if she was going steady. I figured mine would stay on my right ankle my whole life. I was happy with that. And here’s where to read my other posts about the 1950s.